After Intel has officially released the new Intel Haswell-E processors and Intel X99 Chipset for X99 system, Gigabyte Technology has also unleashed their new X99 motherboard lineup based on the Intel X99 chipset with support for Intel’s new Core i7 Extreme Edition (LGA 2011-v3 socket) processors and latest DDR4 memory support. The new Gigabyte X99 Series motherboards are divided into 3 main categories of motherboards including G1 Gaming, SOC Overclocking and signature GIGABYTE Ultra Durable, GIGABYTE has an X99 series motherboard custom built for any ‘Dream Machine’ build. Designed to fulfill the needs of the high-end desktop segment, the new GIGABYTE X99 motherboards are the ultimate platform for users wanting long lasting quality, unrivaled performance and great looks that complement any system build. Offering a completely digital power design by IR to fully power all 8 cores of the Intel Core i7-5960X, the GIGABYTE X99 range of motherboards will be the perfect backbone to your next PC DIY project. 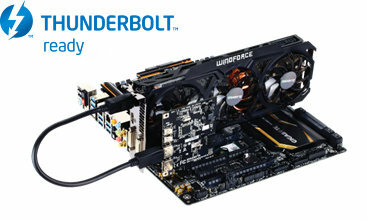 Whether choosing a G1 Gaming, SOC-Force or an Ultra Durable motherboard, GIGABYTE has a wide range of features geared towards gamers, overclockers and professionals alike including all the latest generation connectivity such as M.2 and SATA Express as well as Thunderbolt expandability support. So enthusiasts, don’t be afraid to build your ultimate dream machine. 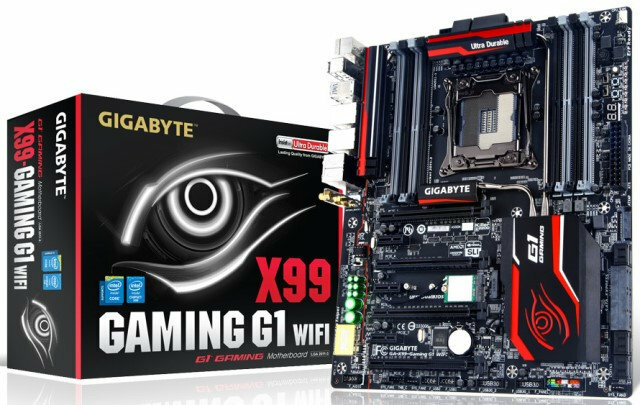 GIGABYTE X99 series motherboards help make the dream a reality. GIGABYTE X99 motherboards use an all digital CPU power design from International Rectifier which includes both digital 4th Generation digital PWM Controller and industry-leading 3rd Generation PowIRstage controllers. These 100% digital controllers offer incredible precision in delivering power to the motherboard’s most power-hungry and energy-sensitive components, allowing enthusiasts to get the absolute maximum performance from their next generation Intel Core i7 Extreme processors. 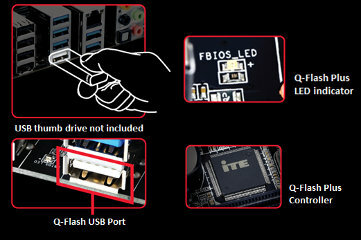 GIGABYTE X99 series motherboards feature an onboard SATA Express connector which provides performance far superior to that of current SATA technologies. SATA Express features data transfer rates of up to 10 Gb/s, considerably higher than SATA Revision 3 (6Gb/s), which won’t bottleneck faster NAND flash technologies in cutting edge SSDs. SATA Express combines the benefits of PCI-Express and SATA to provide much higher bandwidth, allowing SATA Express based drives to perform at similar speeds as PCI-Express based drives. Combining world’s first Quad-Core Creative Sound Core3D Audio Processor Plus Advanced Creative SBX PROSTUDIO Audio Suite, the GIGABYTE X99 Gaming motherboards lead the way in terms of audio quality. SBX Pro Studio suite of audio playback technologies delivers a new level of audio immersion. Realistic surround sound, the ability to clearly hear specific sounds in a gaming environment are just a few elements of SBX Pro Studio that enhances the overall experience, be it movies, games or music. Select GIGABYTE X99 series motherboards feature the Killer E2200 from Qualcomm Atheros, a high-performance, adaptive gigabit Ethernet controller that offers better online gaming and online media performance compared to standard solutions. The Killer E2200 features Advanced Stream Detect technology, which identifies and prioritizes all network traffic to ensure important applications that require high-speed connectivity are prioritized over less important traffic. 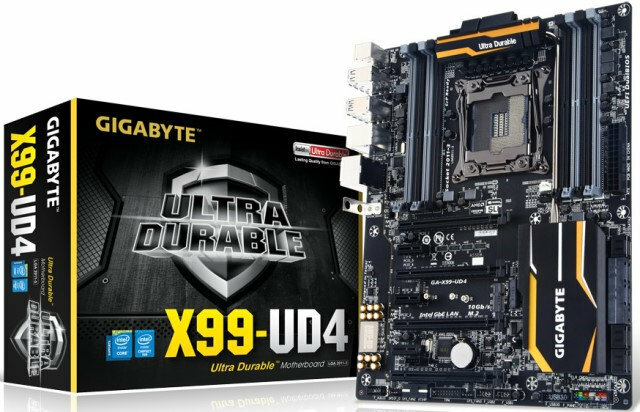 GIGABYTE X99 brings the expandability needed to make your system the ultimate one with an onboard pin header to accommodate the addition of a GIGABYTE Thunderbolt add-in card. The Thunderbolt controller can provide bandwidth of up to 20 Gb/s, compared to a max of 10 Gb/s on previous generation designs. This allows for incredible data transfer speeds when using high performance storage devices, while also supporting daisy-chaining of up to 12 devices and triple digital display support. New Intel Core i7 Processors on LGA 2011-v3 socket are Intel’s first 8 core desktop CPUs and are the first to support DDR4 memory. These next generation 22 nm CPUs delivers greater performance and energy efficiency as well as the industry’s highest level of discrete graphics performance by sporting 40 PCIe Gen.3 lanes, which GIGABYTE X99 motherboards are able to take full advantage of, delivering bandwidth totaling 320 Gb/s for the most demanding gamers or graphics intensive creation tasks such as video editing. On top of that, Intel Core i7 Extreme Edition CPUs deliver 8 core (16 threaded) multitask processing, higher frequencies, as well as larger cache size. 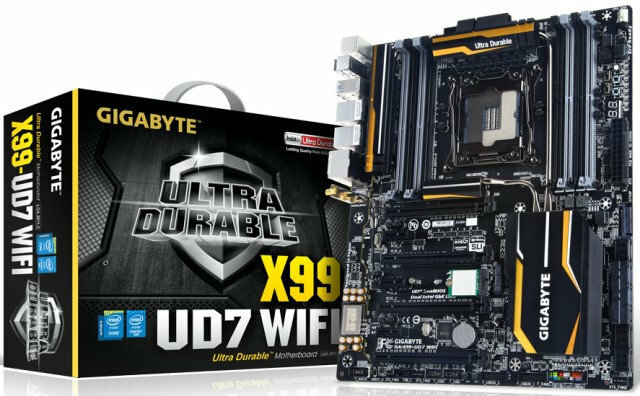 Click on the respective link below to view the specific features and specifications of each Gigabyte X99 motherboard. 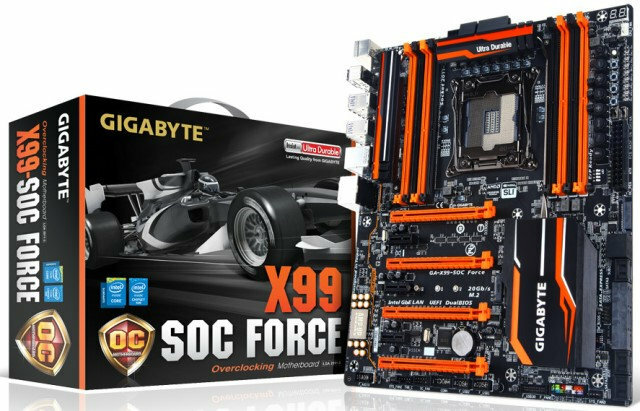 The Gigabyte X99 Series motherboards are now available and can be purchased from both local and online stores. You can check out their latest and best prices here.